The time came to take sides on the matter!! Children chose who to help: Mr. McGregor, the farmer, or Peter Rabbit and his friends. 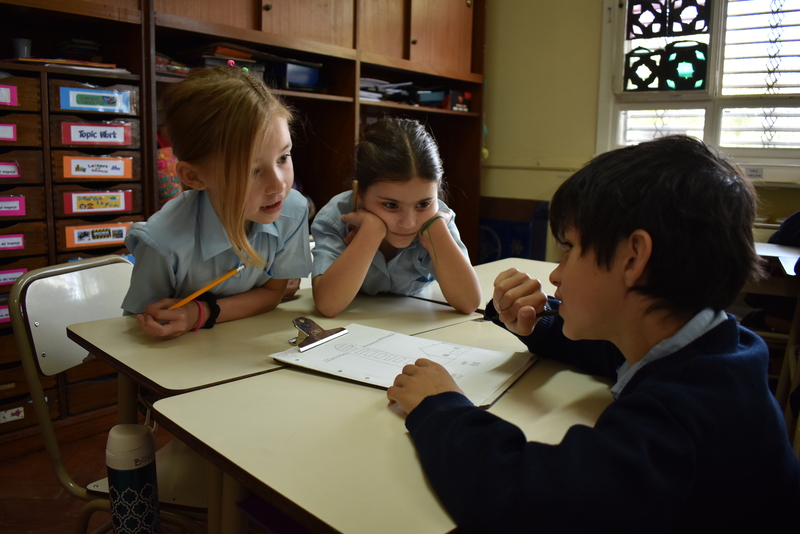 We got together in groups of four with children from the three Y2 groups and we set our minds to work! We met for the first time and started knowing each other. 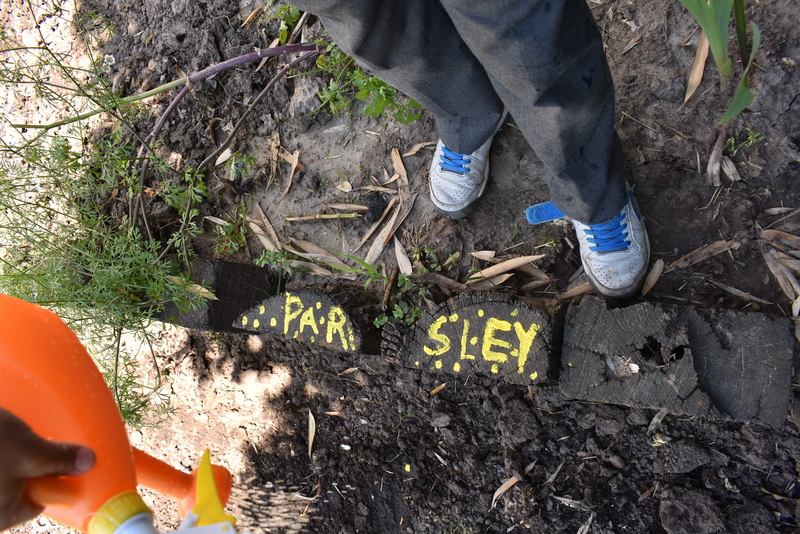 It was easy for some of the children to propose ideas straight away, but is wasn’t until our second or third meeting that each of the members of the group felt comfortable suggesting all sorts of ideas. It was also difficult for us teachers to hold our judgement and let them brainstorm the wildest solutions ever without trying to guide them to the feasible ones in order not to narrow down and settle with the safe choices, but to foster creative thinking. 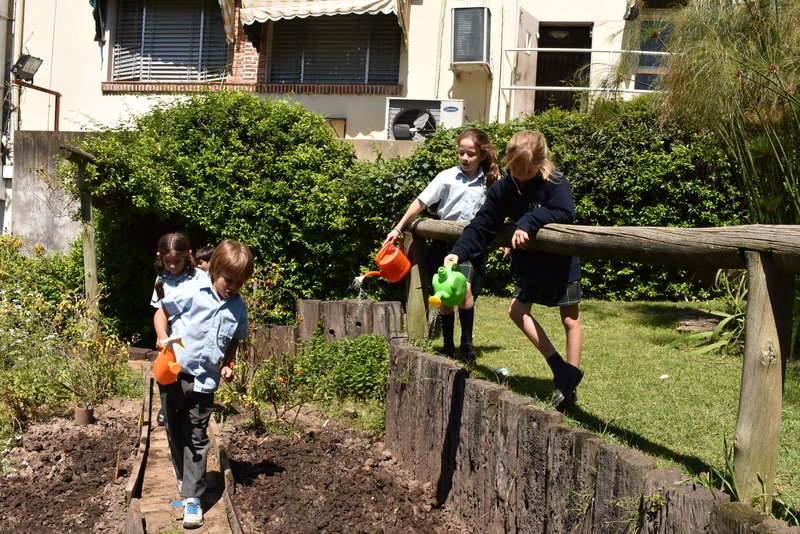 To be able to empathise with Mr. McGregor, we decided to grow a vegetable garden to really experience and feel the hard work all farmers go through when caring for their crops. And we discovered it is really hard work!! Specially if we were to take turns to water the plants during our break time! 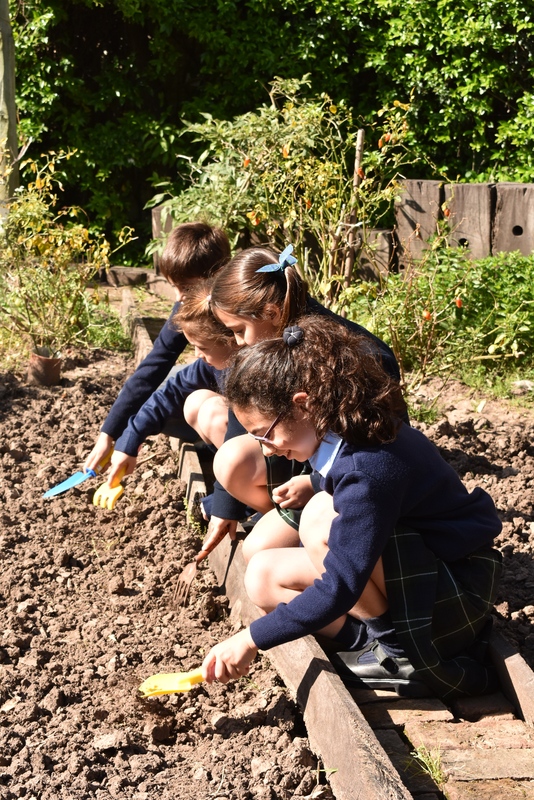 As the children started working in the vegetable garden, questions cropped up about which animals were friendly and would benefit the vegetable garden and which would eat the crops. This brought us back to one of the design thinking mindsets, where activities are human centred gaining inspiration and direction from users and responding to human needs by placing the user at the centre of all empathy work. They started paying closer attention to which parts of the crops are eaten by both animals and themselves. That is how we discovered we eat different parts of plants: carrot, beetroot and other roots like moles and rabbits, tomatoes, strawberries and other fruit like birds do, or even lettuce, spinach and other leaves like turtles do. Now it was time to empathise with the rabbits. 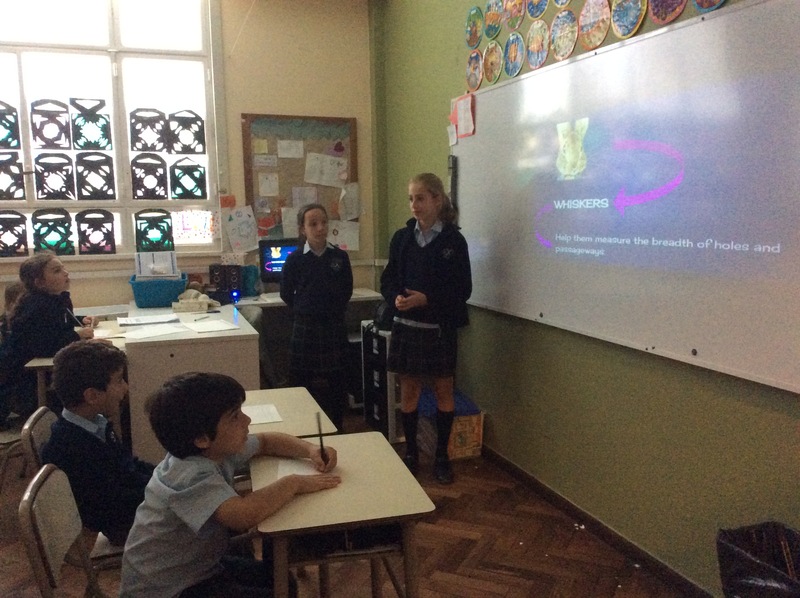 A group of Y6 “mini teachers” very kindly offered to prepare a presentation on rabbit facts that would help us all understand a bit more about what rabbits were capable of and what their habits are. Y2 students had to take down notes like “big people do”! 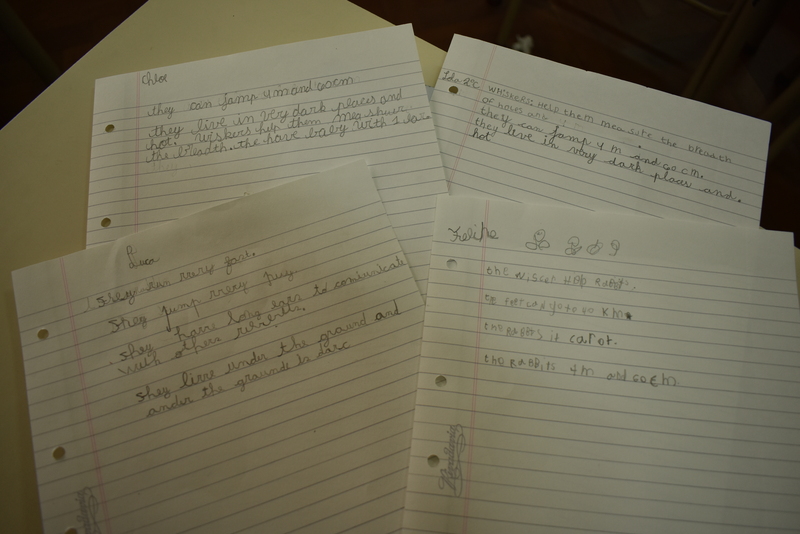 Next, it is time to put our minds to work and think of crazy-creative ideas to help our characters!